If I was a dessert, what would I be? Hmmm, tough question. But that answer is CHEESECAKE! Why not? Rich, creamy, yet unique at the same time. Everyday I could be something different, blueberry, pumpkin, chocolate chip. Sounds pretty rad if you ask me. 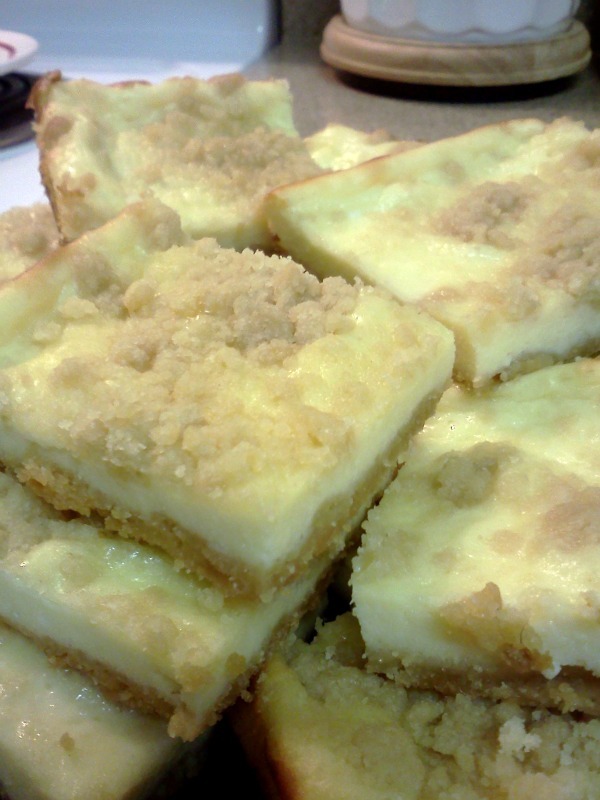 I could also be cheesecake bars if I wanted to. The crust on these is perfect, I've been trying to come up with a nice brown sugar crust for a special tart I'm working on, I made this a few times, cooked it at different temps, and times. This one was great. I didn't just want to toss it, so the bars were made, and we all enjoyed a nice after dinner treat. Preheat oven to 350 degrees. 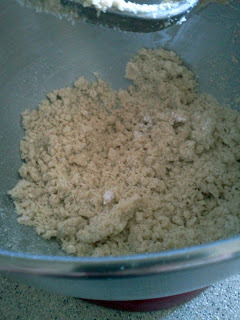 Cream together the butter and sugar, add the flour and mix until it resembles coarse crumbs. Reserve 1/2 C of the crumbs. Press the remaining into a greased 9x9 baking dish which has been sprayed with cooking spray. 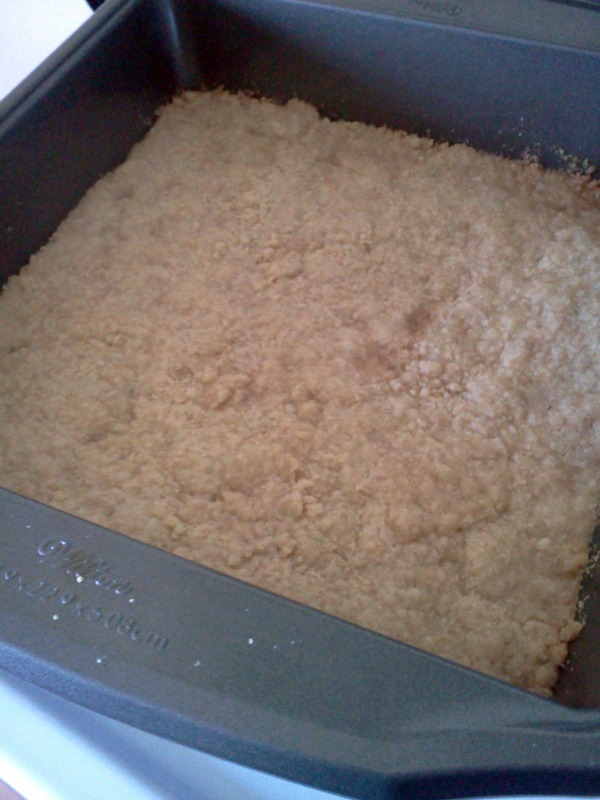 Bake the crust for 10-12 minutes or until edges are lightly golden brown. 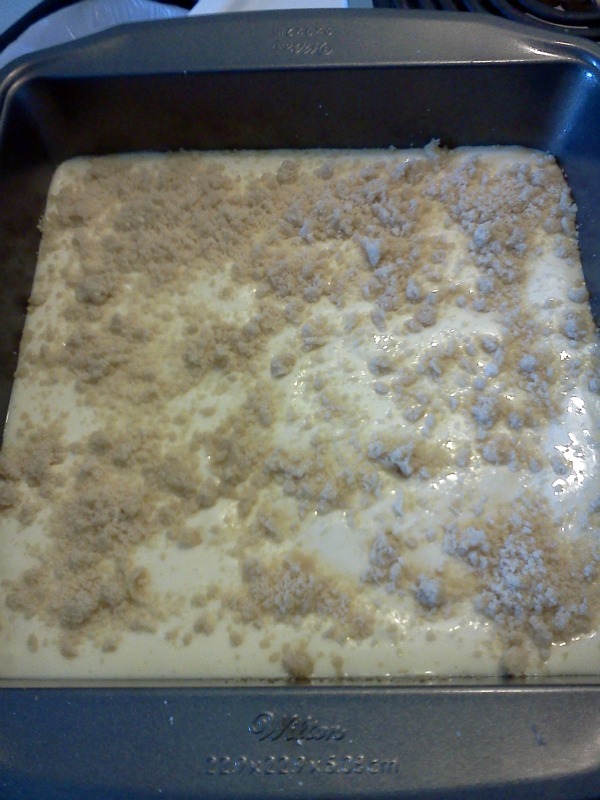 While that is cooking, beat the cream cheese and sugar until smooth. Then add in the egg. Beat until combined. 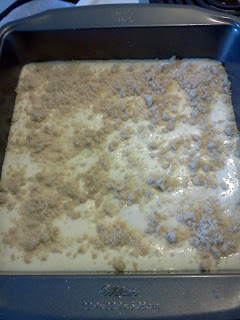 Lastly beat in the sour cream, lemon juice, and vanilla. Pour over the crust, sprinkle with reserved crumbs. Place in oven, and bake for 25 minutes. Cool on wire rack completely. Cut into bars and enjoy!